With the highest Certified Public Accountant Exam pass rate in California, the nine-month Master in Professional Accountancy Program at UC Davis will prepare you for a rewarding career in one of the fastest growing industry worldwide. With more than 2,000 new accounting graduates are hired by private companies each year in California alone and new Board of Accountancy standards now in effect, the MPAc program will ready you to enter the world of professional accounting. The Master of Professional Accountancy program admits students from broad backgrounds in economics, statistics, engineering, and other degrees that fulfill the prerequisites. The program is open to students with a bachelor’s degree from an accredited (by local or national accrediting agencies) college or university, and who meet the minimum entrance requirements. 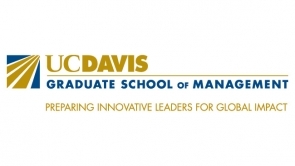 The UC Davis MPAc is a one (academic) year program. There are no electives, labs or experiential credit hours required. You will also learn international accounting standards that apply to publicly traded firms, and U.S. standards that will still apply to many smaller corporations.